Multiple reports stemming from testimony before the Zondo commission into state capture this week have claimed that R500 000 was paid by Bosasa CEO Gavin Watson through a front company to the "Andile Ramaphosa Foundation". This testimony by Peet Venter, Bosasa's former auditor, has proven to be false, News24 found. Venter's testimony relies on his personal knowledge – he was told by Watson this payment into an ABSA account named "EFG2" was for the Andile Ramaphosa Foundation. Venter was misled by Watson when he was told the money was for Andile Ramaphosa. 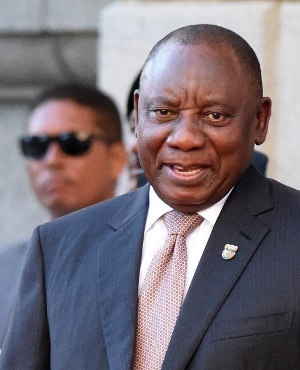 The issue of the payment has been traversed in some detail in the public domain since November 2018, and News24 dug into the transaction around the same time, confirming key details that supported President Cyril Ramaphosa and his son's version on the payment. Edelstein Farber Grobler, the law firm that held the trust account which housed the CR17 campaign funds, confirmed the account belonged to the firm and that it was used for this purpose. News24 at the time also obtained independent verification from sources in the banking sector that this account did in fact belong to the law firm. President Ramaphosa himself confirmed the purpose of the EFG2 account was to house donations to his ANC presidential campaign in 2017. Venter states that on October 18, 2017, Watson instructs him to pay R3m from his own personal bank account into the account of a "dummy company" or front company named Miotto Trading and Advisory Services. At the time Miotto's sole director was Margeret Longworth, Venter's sister. Miotto's registered business address is Longworth's residential address in Krugersdorp. Venter states he was instructed to pay R500 000 from Miotto into an account named "EFG2" at ABSA bank. Venter attaches an SMS from Watson to himself in which he sends the EFG2 account details to Venter at 08:20 on October 18, 2017. Watson himself states in the SMS it is an "attorney's trust account". Watson makes no mention of the Andile Ramaphosa Foundation in the SMS. Venter further attaches proof of payment which shows an amount of R500 000 paid from Miotto's FNB account to the EFG2 account.